Three major developments worth almost $1 billion are set to create at least 1000 jobs on the Gold Coast. And the injection is expected to come just when the city is about to head into a predicted post-Commonwealth Games slump. One expert said more money was on the way, with a boom yet to come. 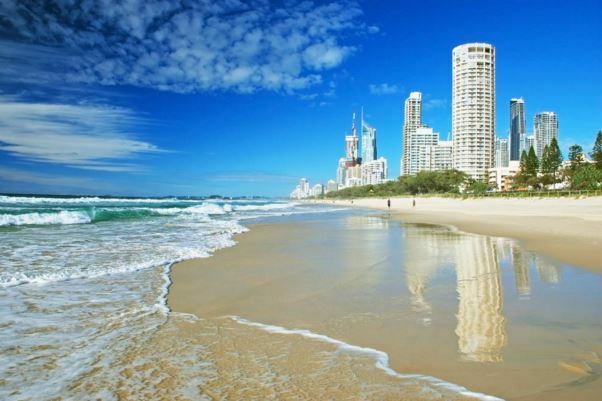 The Gold Coast City Council’s planning committee gave three multistorey towers in Southport, Labrador and Chevron Island preliminary approval during a meeting yesterday. The largest of the potential developments is the ASF Group’s mammoth 66-storey Au development which features a gold-cladded main tower and a shorter 15-storey, short-term accommodation on Park Lane and Scarborough Street. Original story penned by the Gold Coast Bulletin here.